Compressing strut coil springs is no easy task, and can often prove to be a dangerous job – especially if you are using an inferior compressor that is prone to slipping. If your time and safety is important to you, a new compressing machine will pay for itself many times over. 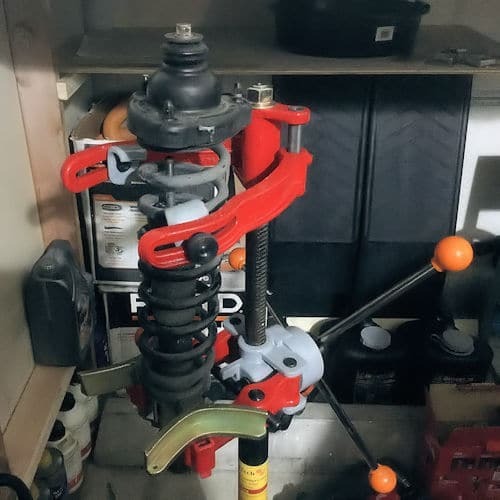 While there are less expensive units (like the OTC 6494 Clamshell Strut Spring Compressor) that are passable for infrequent use, a high-quality coil spring compressor is a necessity for both professional mechanics, and also for the home mechanic that knows the value of good tools. And choosing the right one is important, because in many cases quality is directly related to both safety and functionality. If you decide to try to save a few dollars by purchasing a cheap compressor you run the risk of injuring yourself while using it. And since time is money for a mechanic, wasting time fighting with an inferior tool, or having to replace one that breaks after a few uses just isn’t worth it. A good tool will last for a long time, and pay for itself many times over. You Can Use it in Your Own Garage – Being able to use this tool in your home garage saves you countless expensive trips to the mechanic, so this machine is already paying for itself. You Will Save Time on Struts – These tools make your work very efficient, and some models can complete their task in as little as 10 seconds. When it comes to strut spring compressors, the Branick brand is top of the line. This particular compressor – the Branick 7600 – is known for its safety features and longstanding durability. 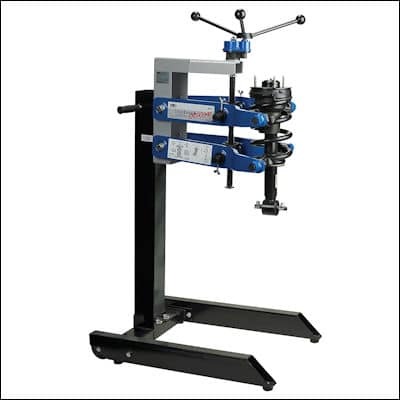 Because of that, it is often referred to as the industry standard model of strut spring compressor. No Adaptor Needed – This Branick machine can handle even the heaviest of coil over shocks on any large SUV or light truck without needing to utilize any additional adaptor. With this product you can save yourself a time-consuming trip to the hardware store searching for an adaptor, as most other compressors require a specialized adaptor in order to use them. Strong – The design incorporates a heavy-duty acme thread that is made to withstand large amounts of stress, which gives the user the ability to use this machine on virtually any compressor project. It also features longer handles that give the user additional torque power, so this capable machine has proven itself to be strong enough for anything. Durable – This model is constructed of all steel, keeping the machine sturdy and durable throughout use. Products that are made out of a lesser grade material may run the risk of breaking during use, causing damage to you or whatever item you are using it on. Safe – All of the components in this product work together to enhance its safety. For example, the fully steel construction ensures that it will last you for years to come without malfunctioning and causing you harm, and the heavy-duty thread guarantees your safety whenever you replace any springs or shockabsorber. Versatile – Thanks to the high-quality construction giving it top notch safety and strength attributes, this machine is versatile enough to be used on any type of vehicle. The stroke has a longer compression that can handle a structural integrated ring guard or even a Jeep KX model Cherokee Trailhawk. Not the Cheapest Option Available – It is true that you could find a cheaper compressor option out there somewhere, but that doesn’t mean this model isn’t a great bang for your buck. Remember – you don’t want to compromise the quality of an item just to save a few bucks, especially if that item is something that could largely affect your safety while in use like this one. One feature we wish the Branick 7600 had was portability. The unit is built to mount to a fixed position. But it would be much more useful in our opinion if you could move the compressor around the shop to where it is needed. The good news is that the Branick 764 Portable Cart For 7600 is designed specifically to meet that need. It does add to the overall cost, but if you are doing a lot of struts or don’t have a fixed space to mount the 7600 it might be the perfect accessory. The Branick manufacturer’s warranty is very helpful and available to those who purchase it new for an additional cost, which can add a lot of peace of mind to your purchase. Although this model is a little more expensive than others available on the market, it can achieve maximum flexibility with its upper spring hooks that can be arranged in multiple positions to easily fit coil spring configurations on a factory level. 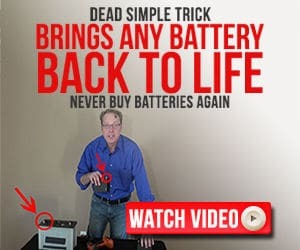 Overall, users have enjoyed using this product and verify its longevity, their reviews alone being enough to testify to the manufacturer’s claim that it will last you for years to come. Let’s be honest – shop-grade equipment can be pricey, and put a strain on any budget. 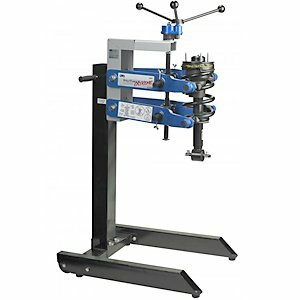 If you’re looking for a quality coil spring compressor that will do the job but represents a little less steep of an investment as the Branick 7600, the Jacktech SK-3000 may be the right fit. Let’s look at the specs of the SK-3000, to see how it stacks up against the Branick. Affordable – This product is the least expensive on this list, but that does not mean that its performance can’t compare to the more expensive options. To the contrary, this item actually has quite a few features that are game changers and hold it steady on any top compressor list. Dependable – The Jacktech SK-3000 features a rack and pinion gear set as well as a double clutch disc system, both patented, that are designed with safety and longevity in mind. These features incorporate durability into the model and added safety to ensure that it will perform well for the user for a long time. Easy to Use – Some machines are difficult to operate alone and may require an additional person to help make sure the process runs smoothly, but this Jacktech model can easily be used by a single person. Single person operation is absolutely necessary for many people to be able to get jobs like this done in their own garage as opposed to going to a costly service shop. Efficient – Aside from being easily operated by a single person, this system works impressively fast and takes less than 10 seconds to compress any spring. 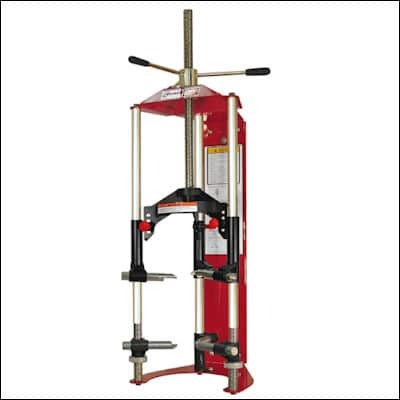 Heavy Duty Capabilities – This solid machine can be used on virtually any four wheeled vehicle’s struts, regardless of how heavy duty of a job it is facing. 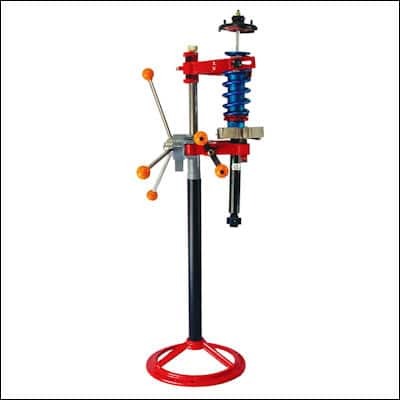 Mobile – The holding vice that is 14” and the high that is 20.5” are both completely adjustable, allowing the user to compress and fit any kind of strut in any position, whether it is upside down or standing upright. The SK-3000 is free standing, where it can easily be relocated around a garage for maximum mobility but it can also achieve high levels of stability by being fastened to the ground, so it really has the best of both worlds. Not as Durable – Since this model does not have an all steel construction like the Branick, it is naturally not as durable or stable. However, this Jacktech makes the best of what it has, and users have hardly had any complaints about it. The fact that this product can be both strong and stable while achieving maximum mobility and flexibility has been a deal sealer for many users, and overall this model performs very well. This product is best for those who are not looking to spend too much money on their next strut compressor but still want a solid, long lasting machine. The OTC company has built up a reputation for itself of providing high-quality products to users for years. Given that fact, it is only natural that their OTC 6637-ST Strut Tamer would also perform well in our review of the best coil spring compressors, and make the #3 spot on this list. Let’s look at the features that make the Strut Tamer a worthy competitor. Versatile Spring Capacity – One thing that users look for in their strut tamers is the tool’s ability to handle a wide variety of springs, so that it can be used across all different kinds of vehicles. This OTC model has a spring capacity that can handle springs as large as 10 inches in diameter to jobs as small as 2 ½ inches in diameter. Great Reduction Ratio – The torque compression on this product is very helpful and offers a gear reduction 2:1 ratio, allowing the user to easily operate it without injuring themselves or exerting too much of their own energy. Adheres to New Safety Standards – New safety standards are released all the time requiring new rules and regulations to be met, so it can be difficult to find an updated model that adheres to every last one of these safety rules. Fortunately, this strut tamer meets all of the ASME PASE safety rules, ensuring that it will safely compress even the largest of strut springs. Price – The OTC 6637-ST is the most expensive option on this list. Starting just under $900, this machine is certainly an investment. However, the price does reflect the product’s versatility and high performance, which is important to keep in mind. This product is making strides in setting new standards for safety and durability for professional strut spring tamers. It works very efficiently, and the extreme heavy-duty construction makes this one of the most stable options available on the market, albeit maybe a little less mobile. 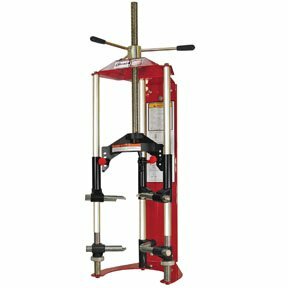 Due to the steeper price, this machine is probably best for professionals and working technicians who are looking to operate on a wide variety of vehicles and strut sizes.